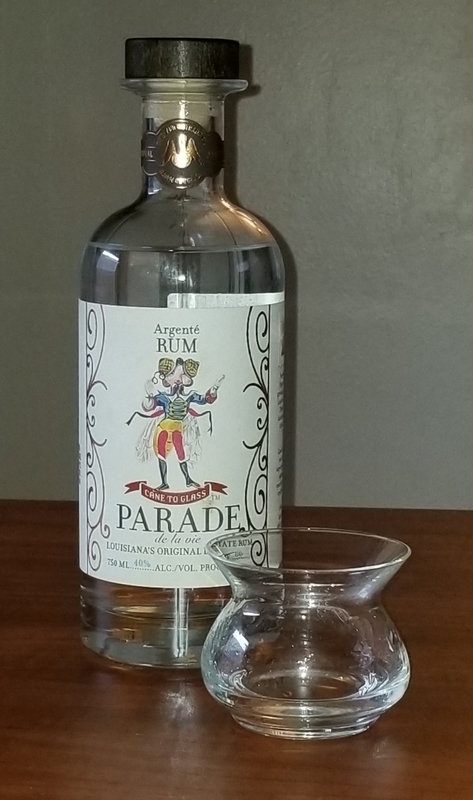 Have you found an online vendor selling Cane Land Distilling Parade Rum Argenté? Interesting rum in a pretty bottle. Ran into this in a Baton Rouge, Louisiana restaurant. Neat it has a fermented cane,vanilla nose and taste with a hint of cherry. Don’t know the price so hard to value but see this as a mixer. Very light burn. I have been seeing these rums on the store shelves for many months. Since I have had very little luck with Louisiana rums (Sweet Crude Black Gold being the exception), I ignored these rums. So this morning, I wound up researching the background of Parade rums from the vicinity of Baton Rouge, LA. Cane is grown on their Alma Plantation and the distillery is right there on the property. They also make a rhum agricole and noted somewhere that the cane juice begins to spoil within a few hours, so it must be distilled ASAP. These things are good to know! No wonder industrial cachacas taste terrible! It is because they allow the cane juice to rot in Brazil. This rum is distilled from black strap molasses and then filtered five times. The aroma is like a very good artisan cachaca and so is the taste and after taste Their stated goal was to make a Cuban style white rum, but after trying several real Cuban style rums, I just don't see this at all. Since artisan cachacas are extremely hard to find and very expensive in the USA, this $28 Louisiana white rum should fit your tastes. Since this rum tastes so much like a very well made Brazilian cachaca and their national drink is the caipirinha, I chose the USA version of this drink by adding Key Lime juice and no sugar. In the right amounts, you can still taste this wonderful rum underneath, which is how this drink is supposed to be. This also comes in a wonderful bottle that is reusable for pre-mixed drinks stored in the fridge. It has a cork, a wide mouth, with clear glass, and is not too tall. My wife brought this home after trying it at the Rum Renaissance Festival, which surprised me when I tried it as she doesn't usually like rhum agricoles. The marketing material says it's Cuban-style, but it tastes like a cross between a Cuban style rum and a French style rhum. Poured neat there is a clean, fruity aroma with hints of the alcohol, but not so much as to burn your nose. It has a nice flavor for a silver rum, with a medium finish that would feature well in a fruity cocktail where you still want to taste the flavor of the rum, like a classic daiquiri.